Neck pain and neck stiffness. Upper back problems and referred pain into the arms and hands. Frozen shoulder & diffuse shoulder pain. Elbow pain - tennis and golfer’s elbow. Lower back pain and pelvic girdle pain. Disc injuries and muscle spasms. Sciatica and nerve entrapment symptoms. Hip, knee, ankle and foot joint pain. Mechanical dysfunction from postural and muscular imbalance. Muscular injuries – Cramp, spasms and strains. Sports injuries of all kinds form all kinds of sports. 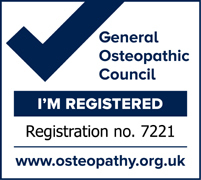 At the Pershore Osteopathic and Sports Injury Practice we aim to offer a comprehensive treatment programme specifically for you. The approach to treatment in a session is often an appropriate blend of Osteopathic and Sports Injury Care techniques. Depending on your presentation, your appointment may also include Modern Acupuncture, Ultra sound, Electrotherapy, Sports massage and Kinesiology taping but we will discuss this with you. We will undertake a regular bio mechanical assessment over your treatments to help measure your progress as well as advising and demonstrating for you appropriate exercises and conditioning routines to complement your activities. Importantly we feel that the time between treatments is equally vital for recovery and we will offer advice on; hot and cold applications, taping if needed and self massage. On the extremely rare occasion with your consent, it may be appropriate to refer you for further investigation, which we can arrage for you via your GP or privately.